Halloween at my house has changed. The kids are grown and living on their own and I live on a street that doesn't get any trick or treaters. I know, sad. So, I get very little change to make Halloween treat boxes. 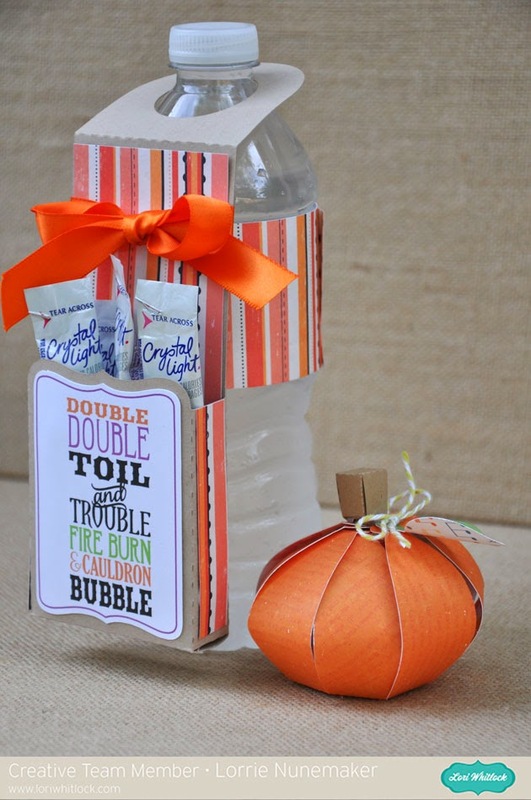 I used Lori Whitlocks Water Bottle Hang Tag to make this adult Halloween Treat! Stop by Lori Whitlock's blog today and add your link to the Link Up party. 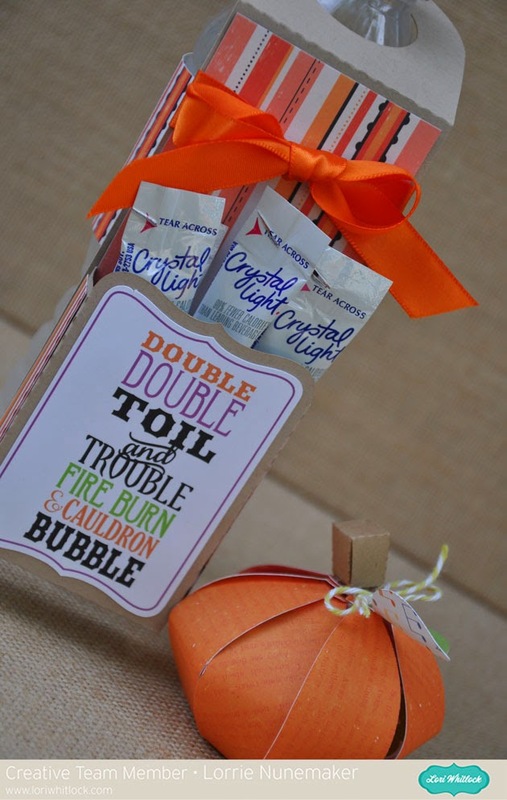 We are showcasing any Halloween/Fall project using Lori Whitlock Silhouette Cut Files or SVG files. Can't wait to see you there! All of the files are listed on the Link Up!